Home Film These Are the Most Technologically Impressive Theaters in L.A. Naturally, Los Angeles is home to some of the most sophisticated cinemas in existence. You can throw around the term “state-of-the-art” all you want, but these are the handful of theaters in the city that actually deserve the title—and they’re dramatically elevating the experience of going to the movies. Once you’ve seen a film in 4DX or Dolby Cinema, you’ll probably have a tough time going back to, like, regular theaters. Welcome to enlightenment. On typical days this outpost of the Korean theater chain shows current Korean blockbusters with English subtitles and vice-versa. As if that wasn’t enough of a draw, it occasionally brings out the big guns and does a showing in ScreenX, where the film is projected onto three wraparound screens that extend the action into your periphery. The most iconic movie theater in the world also happens to be one of the few places to see 3D films the way God intended—in IMAX with laser projection. The technology makes for a crystalline picture with crazy depth, and only nine theaters in the U.S. are equipped currently with it (including the AMC at CityWalk, which is great except that CityWalk is the fourth circle of Hell). If you think you hate 3D movies because they’re blurry, or dim, or give you a migraine, you haven’t seen one in this format (and it’s gorgeous in 2D as well). Trust us, it will change your life. Two years ago, Dolby Laboratories started rolling out “Dolby Cinema”—a theater getup combining their crazy good Atmos sound system with Dolby Vision, which uses laser-illuminated projectors for crisp colors and deep, deep blacks. Sure, IMAX has laser projection too, but Dolby’s projected images hit a peak luminance of 31 foot-lamberts (as opposed to IMAX’s 22). That’s your cue to nod like you understand what foot-lamberts are and say, “Woah, that’s crazy luminance.” Because it is. 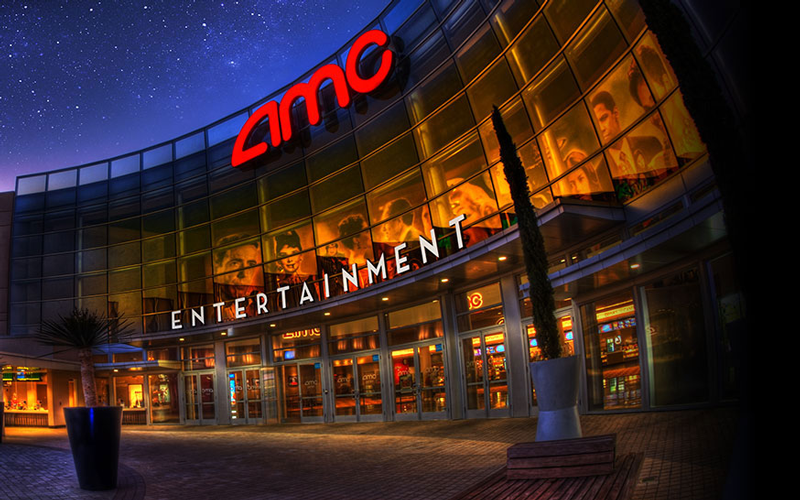 Dolby has introduced Dolby Cinema at select AMCs across the country, four of which are in the L.A. area (AMC Burbank, AMC Century City, AMC Del Amo, and AMC Norwalk). Before buying tickets, call ahead to ensure that the theater is actually showing a Dolby Vision-graded film.